People are encouraged to discover and explore County Durham’s history this week by delving into thousands of original records and documents. Durham County Record Office is supporting national Explore Your Archives Week by reminding people of the amazing resources available to residents who are interested in local and family history. The archives held by the Record Office span almost 900 years, with the oldest items dating back to the beginning of the 12th Century. They relate not only to the current County Durham and Darlington areas but also the historic County of Durham before 1974, covering the area between the River Tyne and River Tees. The documents within the archives include parish registers, school documents, estate and family records, mining records from the National Coal Board and an extensive Regimental Archive for the Durham Light Infantry. 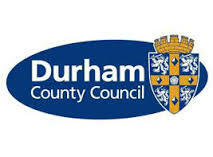 The Record Office is also responsible for www.durhamatwar.org.uk, a new website telling the story of County Durham and its people during the First World War. Liz Bregazzi, county archivist, said: “Archives enable people to bring stories to life. Here at the Record Office we have an extensive range of documents covering a wide range of subjects and a large geographical area. “We always love sharing the information we have and we welcome anyone and everyone who is interested in learning about their past and that of the county.